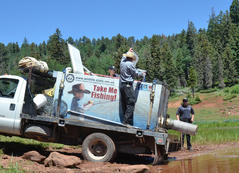 SANTA FE – The State Game Commission has reopened properties within the Santa Fe National Forest to coincide with the U.S. Forest Service’s announcement to reopen the forest starting Monday, July 9. 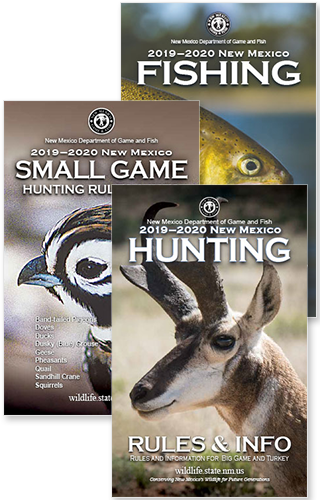 The New Mexico Department of Game and Fish has also scheduled fish to be stocked in waters within the forest boundaries, including Monastery Lake, Pecos River and Fenton Lake. State Game Commission properties adjacent to the Santa Fe National Forest, including campgrounds and fishing areas in Pecos Canyon, the Bluebird Wildlife Management Area and Fenton Lake Wildlife Management Area have been reopened. Statewide, anglers, campers and hikers who use state wildlife areas are urged to continue checking restrictions before they travel. Wildlife areas observe the same fire restrictions put in place by the New Mexico Forestry Division or on adjoining National Forests, Bureau of Land Management and State Trust lands. For more information about fire restrictions statewide, please visit the New Mexico Fire Information website: https://nmfireinfo.com/.